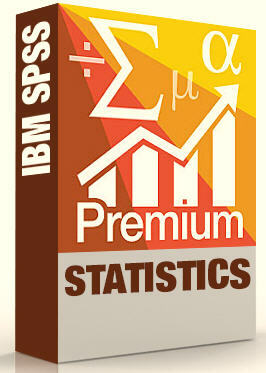 The IBM SPSS Statistics Premium Edition helps data analysts, planners, forecasters, survey researchers, program evaluators and database marketers – among others – to easily accomplish tasks at every phase of the analytical process. It includes a broad array of fully integrated Statistics capabilities and related products for specialized analytical tasks across the enterprise. The software will improve productivity significantly and help achieve superior results for specific projects and business goals. Geospatial analytics enables users to integrate, explore and model location and time data. Data preparation streamlines the data preparation stage of the analytical process. Data validity and missing values increase the chance of receiving statistically significant results. Categorical and numeric data can be used to predict outcomes and reveal relationships graphically. Decision trees make it easier to identify groups, discover relationships between groups and predict future events. Forecasting features enable you to analyze historical data and predict trends faster. Structural equation modeling tools let you build structural equation models with more accuracy than standard multivariate statistics models using intuitive drag-and-drop functionality. Bootstrapping makes it simple to test the stability and reliability of models so that they produce accurate, reliable results. Advanced sampling assessment and testing helps make more statistically valid inferences by incorporating the sample design into survey analysis. Direct marketing and product decision-making tools help marketers identify the right customers easily and improve campaign results. High-end charts and graphs make it easy to create and share and interact with compelling visualizations results on a range of platforms and smart devices. Easily consumable analytical output—view and interact with SPSS Statistics output on multiple types of smart devices and platforms and create presentation-ready reports. More powerful simulation modeling—improve model accuracy with enhanced Monte Carlo simulation, which includes new features such as heat maps, automatic linear modeling and simulating strings. Specialized techniques to improve overall performance—obtain more accurate results faster and increase productivity and effectiveness. Product may only be sold to an individual who is currently enrolled in an institution of higher education located in the United States to obtain a degree or participate in a continuing education program, for educational purposes and non-commercial academic research. Non-commercial academic research which means research by a degree-seeking student where (i) the results of such research are not intended primarily for the benefit of a third party, (ii) such results are made available to anyone without restriction on use, copying or further distribution, and (iii) any copy of such result is furnished for no more than the cost of reproduction. Also to note, the student must reside in one of the 50 US states only; territories such like sovereign military locations, PR or USVI are not included. Operating system: Windows 7 (32 or 64-bit) , Windows 8 desktop/laptop versions or Windows 10. 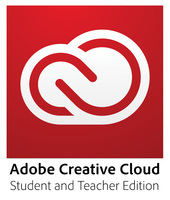 Memory: 4 GB RAM or more recommended, 8 gigabyte(GB) of RAM or more is recommended for 64-bit Client platforms.